Two major international companies 'forgot' to include Israel on their lists; one, which left Israel off its website, corrected its error. Players of the NBA Jam: On Fire Edition video game that recently came out could choose one of four teams that qualified for the European Final Four this past year as “their” team in the game: Montepaschi Sienna, Real Madrid, Panathinaikos – and a team called “Maccabi Electra.” The Tabletmag blog this week reported that a reader who was playing the game noticed that the real name of the team, Maccabi Tel-Aviv, was replaced by the ersatz Electra name – apparently a reference to the Electra construction company, a sponsor of Maccabi. Electronic Arts, the makers of the game, said that they had taken the team information directly from the Euroleague, the organization that sponsors the European basketball championship. 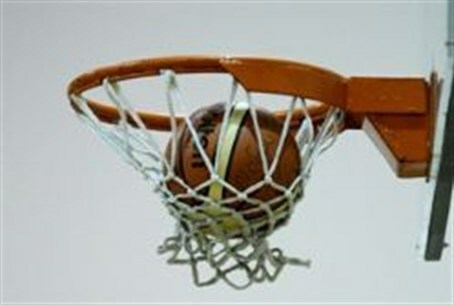 “An email to the Euroleague went unanswered,” the blog wrote. "Mr. Chairman, just as hate speech presages hate crime, so virtual Holocaust aspires to its recurrence. This is one cosmetic that Nivea should not be selling,” the letter added. The issue has apparently been brewing for awhile; in August, Israeli actress Becky Griffin wrote a letter to the company, saying that she could not find Israel on the website. “I was very surprised to find out that according to you, my country, Israel is good enough to sell your products in, but not worth being a part of the rest of the world. When asked to select my location on your website I couldn't do so,” the European Jewish Press quoted her as writing to Beiersdorf. In its response, the company said that the lack of Israel on the site was not due to a desire to boycott Israel, but because Nivea had no local marketing organization there, as the Israeli sales operation was managed from Greece. In recent days, the Nivea site was updated to include Israel and now includes a link to a page announcing that the official Israeli site will be online on September 25. Israel thus now is listed on the Nivea site in its catalog of Middle East countries – along with “Palestine Territories,” which links to the general Arabic language Nivea page that serves Egypt, Iraq, Jordan, Syria, and other Arab countries.